System Hardware Information and Monitoring Tool for Windows 7 are numerous. Some are free some are paid.Here are two Free tools for System Hardware Information. 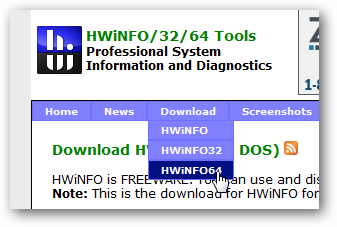 SIW – System Information for Windows, a nice System Hardware Information tool comes in two versions, free and paid. You can download SIW from this page Click here to go to SIW page for download. Comes in three flavors : For 32 bit, 64 bit and DOS version. Provides realtime monitoring and info for Temperature, Voltages, Fan speed, Power etc. You can save the data in Text, CSV, XML, HTML formats. This Article Has Been Shared 9893 Times! Wooden Shelf Dock Widget is a realistic Dock style widget that runs on XWidget. Users can drag and drop the program icons on the shelf to configure. Ribbon Shortcut Icon Widget runs on XWidget Engine. This realistic Ribbon Widget will beautify Windows desktop and will provide a nice way to launch Programs. Cite this article as: Abhishek Ghosh, "System Hardware Information and Monitoring Tool for Windows 7," in The Customize Windows, August 15, 2011, April 18, 2019, https://thecustomizewindows.com/2011/08/system-hardware-information-and-monitoring-tool-for-windows-7/.